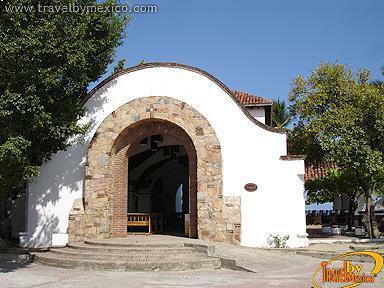 Huatulco salvaje 402, Santa Cruz, Huatulco, Oax.. 70987. 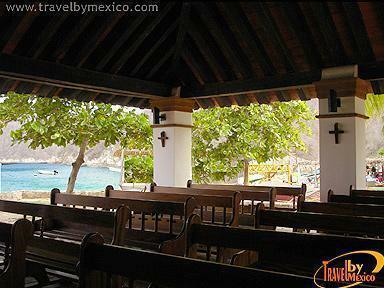 The Chapel of Santa Cruz is a small temple located in the Bay of Santa Cruz, Huatulco Bays. Because of its location and its particular feature of no doors allowing one to take in the views of the ocean and beach, it is coveted by Mexican and foreign couples who come every year to get married there. 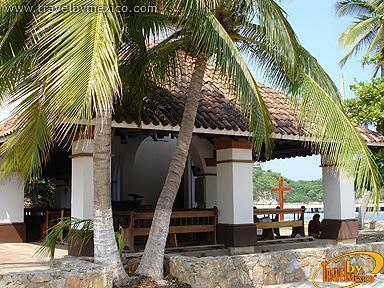 "The cross of Huatulco became famous in the year of 1587 when the English pirate Thomas Cavendish arrived at the port of Huatulco and then having the intentions of robbing the town, tried to tear down the Holy Cross with axes and saws. Seeing that it was not possible, he ordered the cables to be tied to the boat to move offshore. As he headed out to sea, it would not move. The same happened when he ordered it burned, it was unharmed. This great event brought forth a devotion and extraordinary respect, expressed in pilgrimages and visits at all times and from different parts of Mexico and the distant shores of South America. It was said by the pilgrims those in contact with the relic were cured of their diseases, therefore, wore the wooden chips which were deformed. 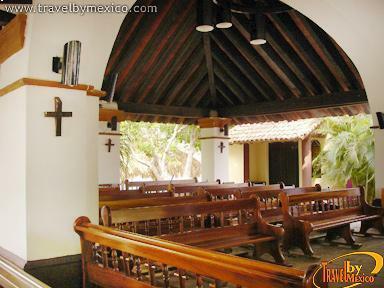 Later, the wood was moved to the City of Oaxaca, which was divided into several portions one of which was sent to the Vatican, another Mexico, another to Puebla and another to the Cathedral of Oaxaca in one of its chapels. By provision of the Hon. 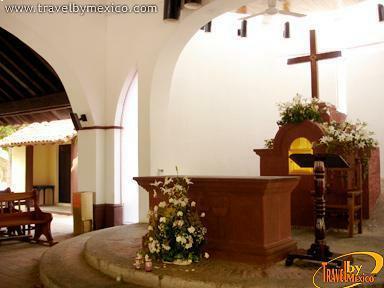 Archbishop of Oaxaca, Héctor González Martínez, the small cross was brought to the Cathedral and formed from a portion removed from the original fragment and is embedded in the current cross enthroned at the main altar of the Chapel of Santa Cruz. 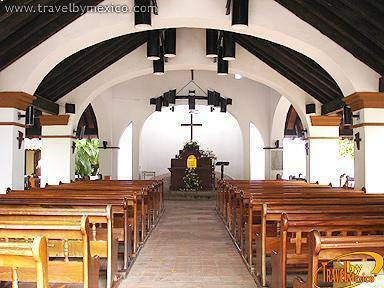 It was blessed on May 3, 1999 by the Hon. Auxiliary Bishop of Oaxaca, Miguel Angel Alba Diaz."